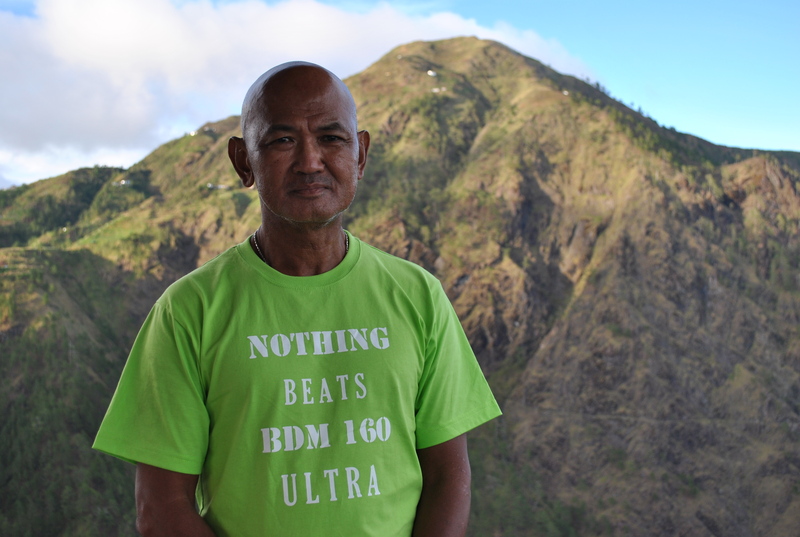 A day after the 1st KOTM Trail Marathon in Mt Ugo, Kayapa, Nueva Vizcaya, I was on my way to Mt Timbac, the 3rd highest mountain peak in Luzon with a registered elevation of 2,717+ meters above sea level coming from Baguio City. 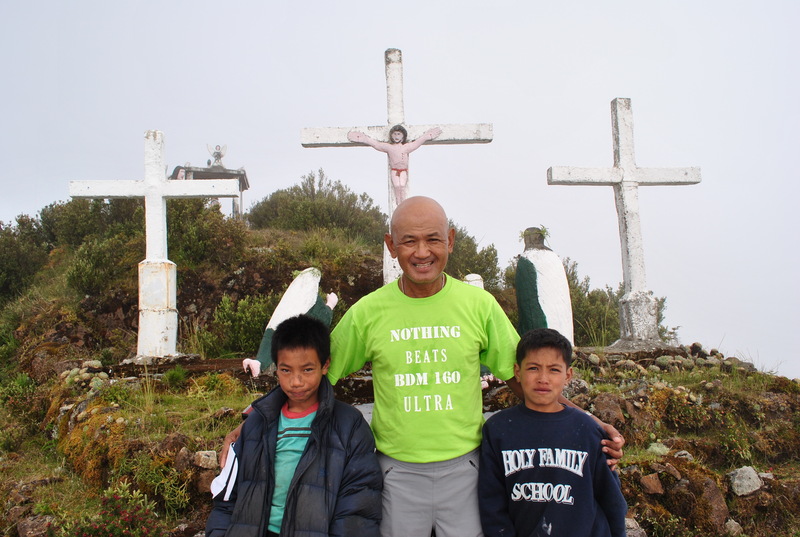 Mt Timbac is ranked as the #9 highest peak in the entire country. 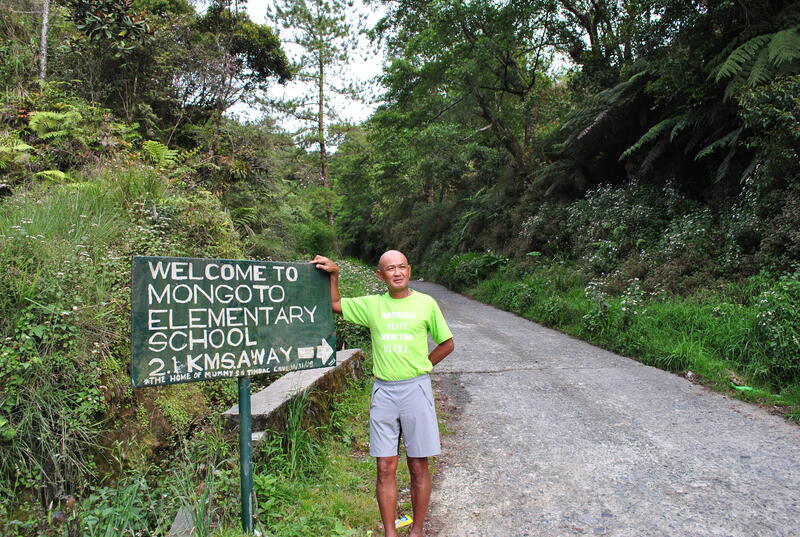 Since the mountain is located along the Halsema Highway which is the only paved access road to Bontoc, Mountain Province, I was confident that I could reach the place in a few hours and be back to Baguio City before dinner time. If there such thing as “day hike” for a mountain peak, there is also a “day trip” where you can visit a certain place and be back to where you came from before evening. 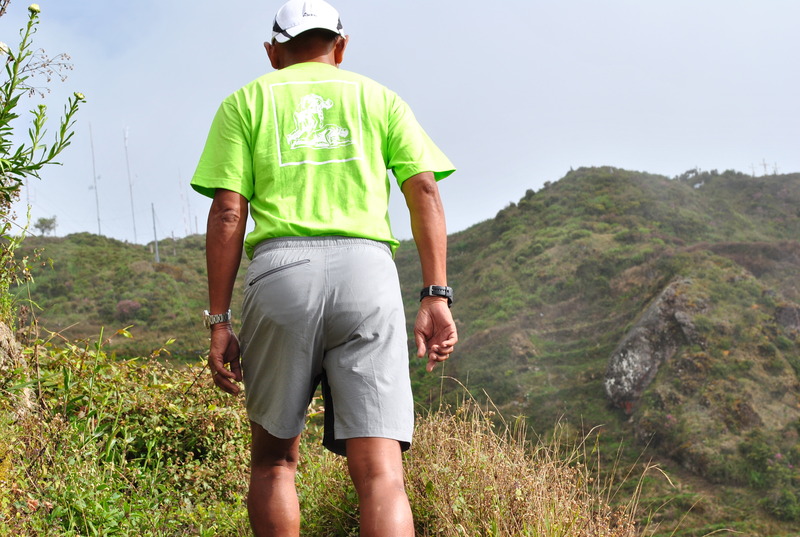 As per my research, the intersection that goes to the trailhead towards the peak of Mt Timbac is located near the vicinity of DPWH Kilometer Post #55, which means that one has to travel 55 kilometers north of Baguio City in order to reach the place. I estimated to reach the place in 1 1/2 hours. 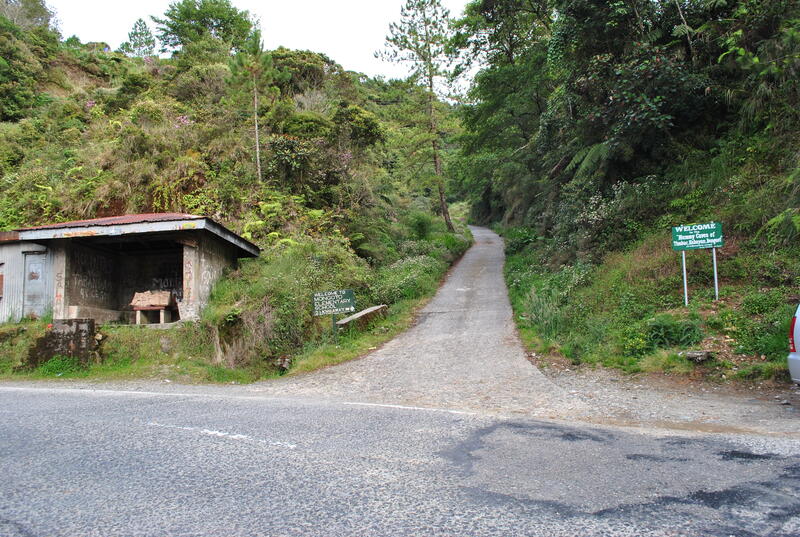 I was surprised to notice that there are lots of changes along the road to La Trinidad as compared during those times when I have to attend my ROTC training at the Benguet Agricultural College in La Trinidad, Benguet during the late 60’s (1968-69). During my early years in the active military service, I had two occassions of travelling along the Halsema Highway aboard a Volkswagen “Sakbayan” with Bontoc, Mountain Province as the place of destination. I could still recall the highway to be very narrow that only single lane for vehicles were used most of the portions of the road. The road was full of sharp rocks and it was too dusty. The trip was very slow and long and our body was being “massaged” throughout the trip. I am glad that the Halsema Highway is already paved/cemented and with two lanes. Although there are still patches of construction for repairs along the road, the trip was easy and relaxing. However, one has to prepare to see that the road you are looking ahead is getting progressively higher and higher up to the peak of the next mountain! This is where you will appreciate what the DPWH had done to this part of the country. 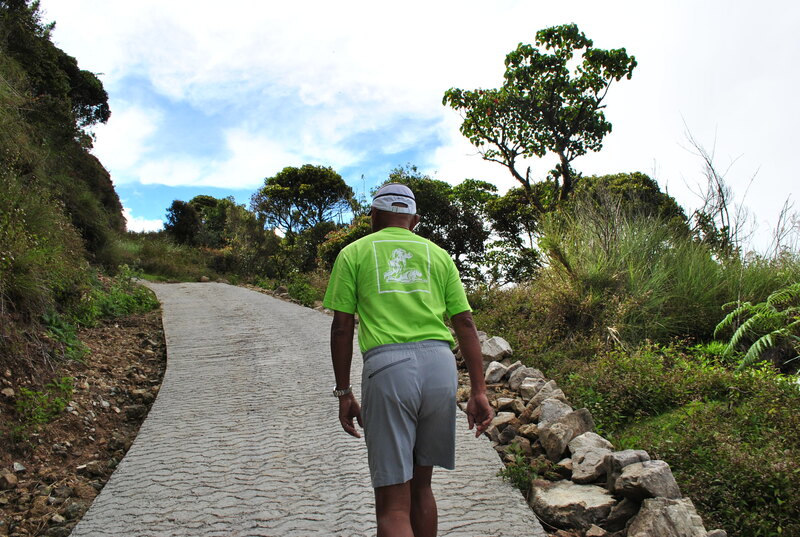 Two kilometers from Mt Timbac’s foot or road access is the View Deck which is marked as the Highest Point of the Highway System of the Country in an elevation of 7,400 feet above sea level (2,242 meters above sea level). 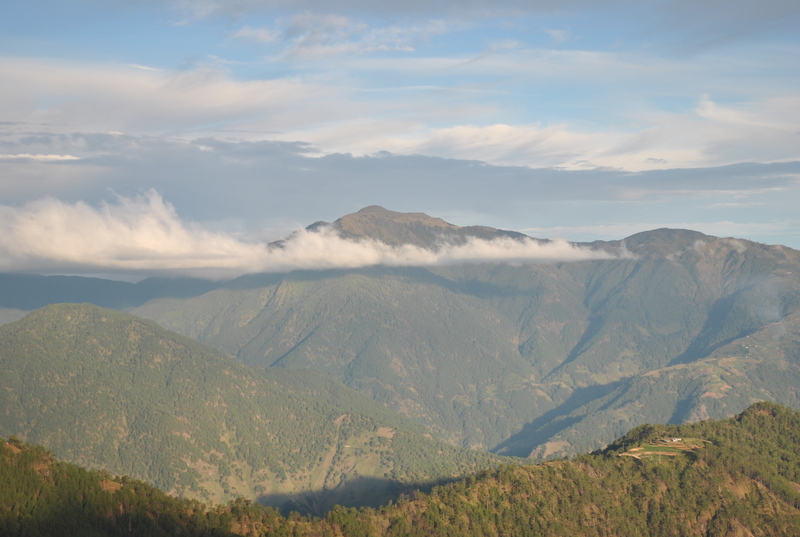 From this view deck, you can see Mt Pulag, Mt Tabayoc, and Mt Ugo. After almost 1 1/2 hours of easy driving, we reached Km Post #55 and after asking some of the locals along the road, we were able to turn right to a road that leads to the mountain’s peak. The single lane road is concrete and it leads to an elementary school where I parked my vehicle. I was able to meet Alexis Estenor hiking down along the way as he and his friends just came from the peak of the said mountain. 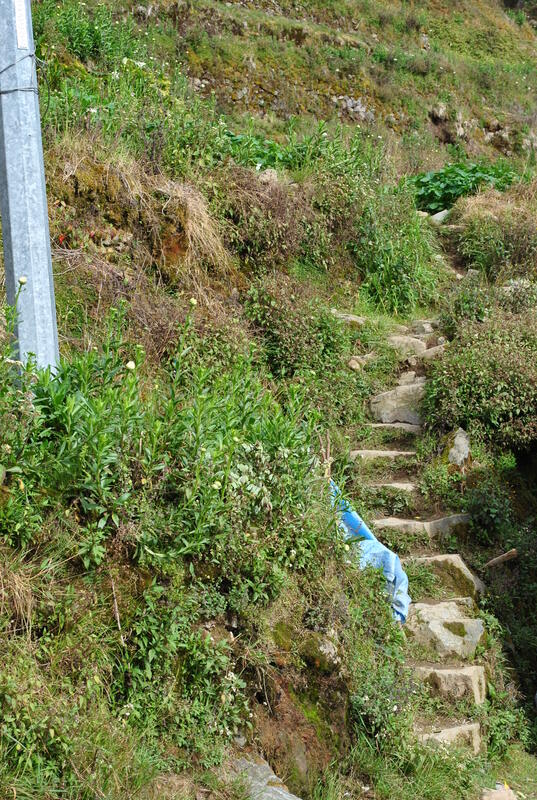 From the school, the walk to the peak was very easy as most of the 1st kilometer is paved and the other half is an uphill trail with rocks used as steps. The hike has a distance of 2.1 kilometers which took me 30 minutes to reach the peak. I was guided by two kids who belong to the families cultivating some of the vegetable gardens along the slopes of the mountain. After taking some pictures and short conversation with the kids, I was on my way back to my parked vehicle. My GF 305 watch registered 2,737 meters above sea level as its peak elevation. 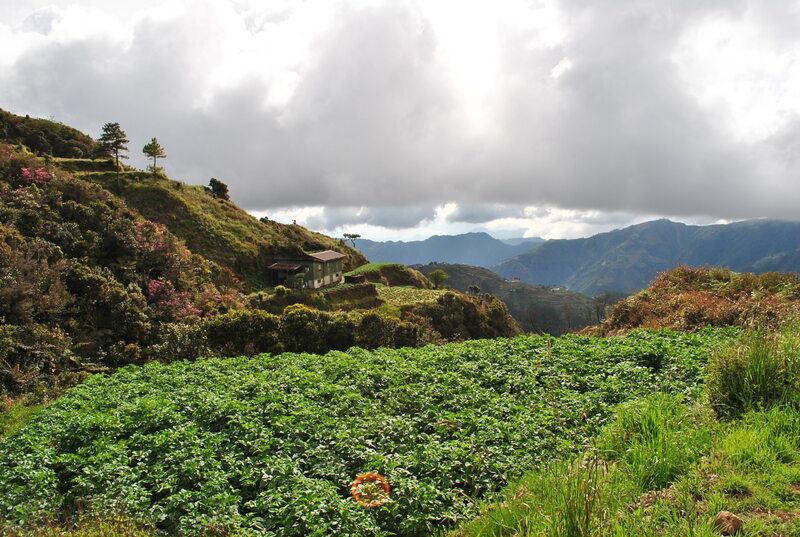 While driving down to reach the Halsema Highway, I saw a group of farmers harvesting their potato garden and I asked the owner if I can buy some. For a P 50-bill, she gave me an estimated 4-5 kilos of her potato harvest! 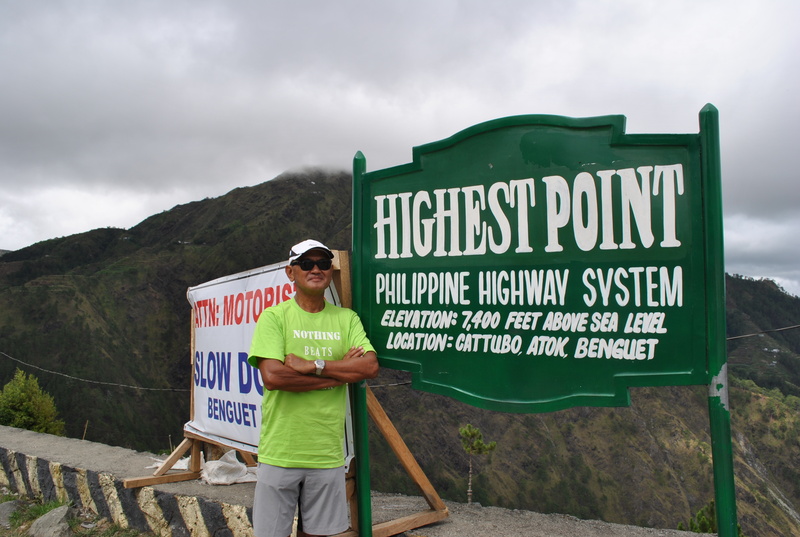 My trip would not be complete if I did not stop at the Halsema Highway View Deck where the Highest Point of the Country’s Highway System is located. I took some pictures of the mountain ridges all-around this place and thought of possibilities that the place could offer in terms of tourism, economy and development. Driving back to Baguio City was an easy one. My “recovery hike” after the 1st Mt Ugo Trail Marathon and 4th “peak bagging” experience were done!